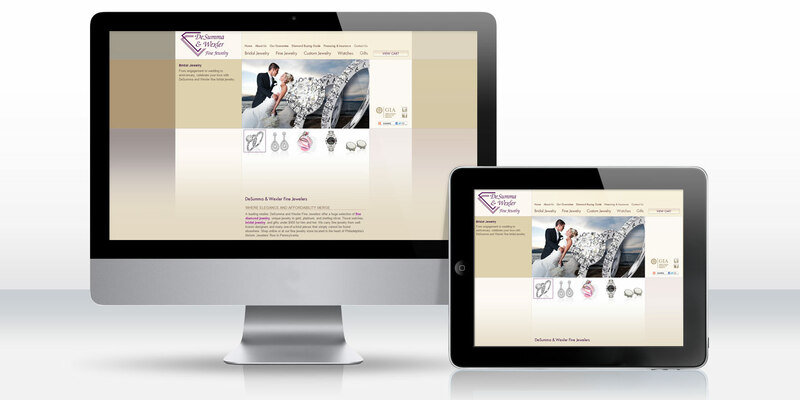 For DeSumma & Wexler, fine jewelry is the center of their business and their website. Jewelers need a way to make their product stand out and really shine. DeSumma & Wexler could have chosen to build their website with flashy bells and whistles, but they decided to let their product speak for itself. For online retailers, the products need to come to life through the screen, especially since the customer can’t feel the quality firsthand. Once the customer finds what they desire, they also need a secure method of purchasing the product. DDA would design, develop, and search engine optimize an eCommerce website for DeSumma & Wexler in a way that puts their product front and center. This way, when customers search for fine, high-quality jewelry, they can find DeSumma & Wexler’s optimized site and focus on the product without being overwhelmed by hype. Then, when they find what they’re looking for, the customer can purchase an item straight from the site knowing they’re getting a superior piece of jewelry. This jewelry-centric design speaks directly to DeSumma & Wexler's client-base of individuals in search of high-end fine jewelry. Pulling inspiration from the company's existing logo, our staff of professional web designers used purple hues and diamond imagery to convey sophistication and exceptional product quality. Site features include a dynamic shopping cart in which users can browse through and purchase DeSumma & Wexler inventory. Fully-customized by DDA's programmers, the cart administrative back-end is tailored to the specific needs of the client for ease of on-demand product posting, editing, and order fulfillment. Additionally, all content was written and search engine optimized (SEO) by our in-house staff of creative copywriters. Designed, programmed, and search engine optimized by DDA, the DeSumma & Wexler website is an example of our full-service capabilities.